With increased understanding of the effects of off-gassing of solvents and adhesives, more attention is now paid to Volatile Organic Compounds- VOCs- and how much is in any given product used in the home. From paints to sealants to floor coatings to glues to plastic cement, most contain certain amounts of VOCs. Sometimes considered the contributer to sick building syndrome, VOCs have been known to irritate skin, eyes and nasal passages, cause headaches, nausea, to damage liver, kidney and central nervous system function and cause types of cancers. LEED for Homes, prescribes limits for a variety of types of solvents and adhesives. For paints it sets a standard of 50 grams/liter for flat paint and 150 grams/liter for non-flat paint. 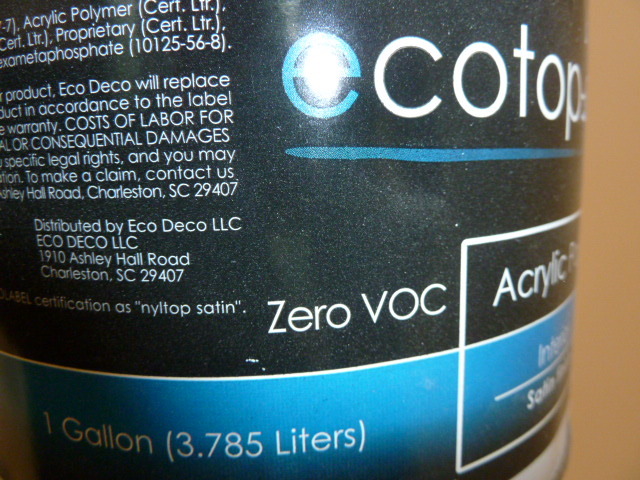 Our paint came from Eco deco and had VOC values of ZERO for flat and less than 40 g/liter for non-flat paint. Eco Deco paints are specifically designed using the latest technology and manufacturing process to protect their customer and the environment. They only sell high performance soybean-based and acrylic-based products. Soybean-based paints have a very low V.O.C level, do not contain any petroleum-based chemicals and are great interior projects. Acrylic-based paints have no V.O.C and can be used for both interior and exterior home projects. 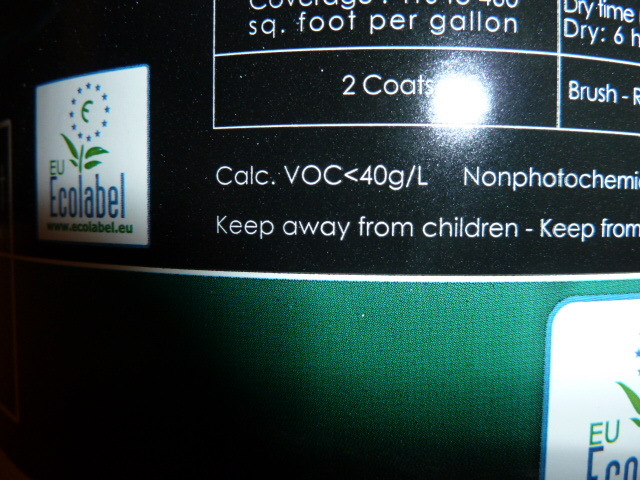 Most of their products are “Ecolabel” certified. “Ecolabel” is the official European Union’s label for sustainable products and has higher standards than any regulation or certification in the United States (including the state of California). The thing about VOC based products is that they weren’t developed just because they were unhealthy. They were developed because they worked well at binding things together and as a medium to spreading pigment. As many manufacturers have recently switched to low VOC, their products suffered and have tended not to perform well. Eco-Deco has been around for 25 years however and used extensively in Europe, and has developed the technology to produce a product that is both healthy and effective and we have been very happy with it. 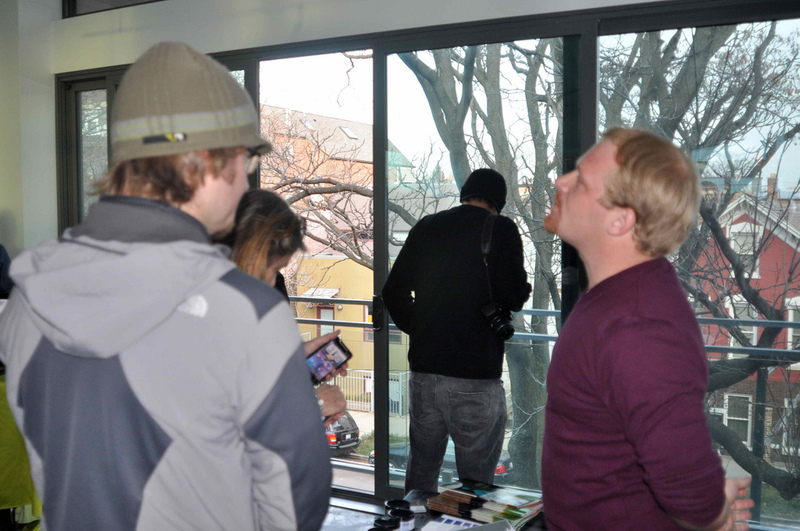 This entry was posted on Tuesday, December 7th, 2010 at 12:51 am and is filed under Uncategorized. You can follow any responses to this entry through the RSS 2.0 feed. You can leave a response, or trackback from your own site.